CM Mitchell Consulting Corporation (CMMC) is an Information Management solutions company helping clients electronically manage their unstructured paper and content. CMMC is a certified reseller and provider of Enterprise Content Management solutions, and specializes in custom Accounts Payable (AP) automation. As a business partner with Kofax, IBM and Oracle, CMMC offers integrated system approaches in the areas of document capture, imaging, file repository, and business process management. CMMC's professional services provide clients with end-to-end product solutions and training by our expert, certified consultants. Learn more about CM Mitchell. Enterprise Content Management (ECM), also known as document management, helps our customers organize their critical documents into a format that can be shared across the enterprise and accessed via a logical search. CMMC implements document capture software to help out customers speed up their business process. It helps organize unstructured electronic and paper documents into retrievable information suitable for business process input. CMMC helps improve our customersâ€™ efficiency using Business Process Management to automate content-centric business processes and leverage technology to simplify work, reduce processing time and ensure high quality results. 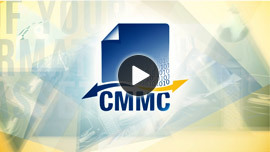 CMMC has been providing Oracle consulting services since 1992. Our experienced consultants work with Oracle Financial Applications, both functionally and technically extending the product to meet our clients' business needs.